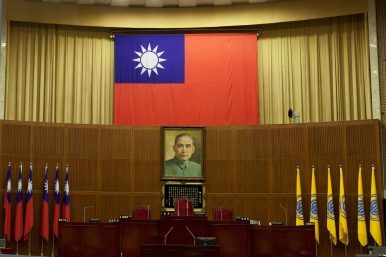 Does Taipei Still Hold Taiwan Is Part of the Republic of China? Taiwan’s foreign ministry deletes a webpage claiming Taiwan as part of the Republic of China. Since Tsai Ing-wen became president of the Republic of China (ROC), commonly referred to as Taiwan, cross-strait relations have been deteriorating day by day. Yet the latest incident undoubtedly gives mainland China a new piece of evidence to argue Tsai’s administration is not doing what it says. On July 12, Taiwan’s Ministry of Foreign Affairs (MOFA) deleted the webpage on Taiwan’s international status, which claims Taiwan is part of the ROC. [The Cairo Declaration’s] connotation has been repeatedly cited in post-war documents, and got the attention of the majority of governments and academia. As for our academic circles, any study regarding Taiwan’s international status is protected by freedom of speech. The Ministry of Foreign Affairs has always respected different opinions. Now that the webpage has been removed, the official language about “Taiwan is the territory of the Republic of China,” which was upheld by Tsai’s predecessor, Ma Ying-jeou, for eight years, is gone from MOFA’s website as well. Not only has MOFA removed the article, but Taiwan’s new high-school textbooks will also delete content related to Taiwan’s international status based on the Cairo Declaration and other wartime documents. There is only one China in the world, and Taiwan is an inseparable part of China. It has undeniable historical facts and legal basis and is universally recognized by the international community. Any attempt to change Taiwan’s position as part of China is futile. It is worth noted here that Ma Xiaoguang didn’t clarify which China — ROC or PRC — he was referring to. According to the 1992 Consensus, as long as both governments acknowledge Taiwan is part of China, whether “China” means the ROC or PRC, the “status quo” could be maintained. Hopefully, Tsai’s administration didn’t really mean to abandon the fundamental concept of Taiwan being part of the ROC, and the removal of the webpage on the MOFA site is only temporary.